Saxophonist Hans Peter Hiby is one of the great mysteries in Germany’s free jazz scene. He grew up in Wuppertal, in the kindergarten he met Caspar, Peter Brötzmann’s son, they were like brothers. He spent a lot of time at the Brötzmann’s home, where he came into contact with jazz. Peter Brötzmann got him his first tenor saxophone, took him to his concerts, and Hiby was fascinated by the sheer energy and ferocity of free jazz. Albert Ayler, Sonny Rollins, John Coltrane, and Brötzmann himself, became his major influences. 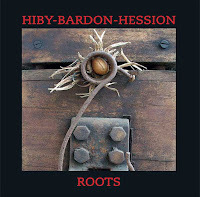 In 1988 and 1995 Hiby released two very good albums, The Real Case with Paul Hession (drums) and Live in Bremen with Johannes Bauer (trombone), Marcio Mattos (bass) and Martin Blume (percussion). He played with a lot of great musicians like Peter Kowald, Sirone and Louis Moholo, he was up and coming. But then there was an abrupt stop. Hiby chose to focus on his family, he decided that it was better to work in “regular“ jobs. In the beginning he tried to play and work at these jobs, but he soon realized that this was impossible. He even stopped going to concerts because he couldn’t stand watching others play. He says that these were hard times. 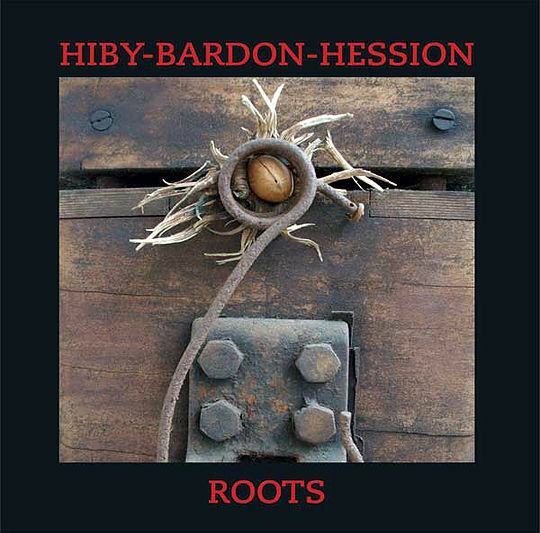 In 2013 the kids were old enough to lead their own lives and Hiby wanted to try making music again. At the beginning of 2014 he rent a small practice room but playing was tougher than he thought. He had lost his embouchure, his fingers were stiff and he had a biceps tendon rupture that caused pain when he tried to turn his arm for certain half-tones. Yet, he was persistent and after one and a half years he played his first concert after the break, a duo with Martin Blume. Then he was offered to play with a trio at the Wuppertal Jazz Meeting, so he asked bassist Dieter Manderscheid and his old pal Paul Hession. Hiby was unsure if a trio could work, but the gigs (the following day they played at the Loft in Cologne) were great. Here at the latest it was clear that he couldn’t live without making music - preferably with a trio. In September 2016 Paul Hession organized a small tour through Great Britain, but unfortunately Dieter Manderscheid had no time. Hession suggested a young, talented Leeds-based bassist with whom he had played several times - Michael Bardon. The tour went fine, the music was immediately intense and tight. So they decided to record an album at the Loft in Cologne in June 2017. And what an album Roots is. The music is completely improvised, Hiby only said that he also wanted some shorter tracks, not just an endlessly long session. On the one hand there are the full throttle pieces like “Riff-Raff“, the opener, “Ding an sich“ and “King Falafel“. Hiby ejects smeared phrases, crassly overblown lines and vibrato-drunk notes as if he wants to express everything that’s been in him for the last 17 years. There’s no time to grab a breather, it’s 100% pure joy, breakneck speed, real fire music. On the other hand there are the balladesque and contemplative ones, “Roots“, “Timeless“, “P.J.“ (dedicated to Hiby’s son) and “Noumenon“. These tracks are clearly influenced by gospels and the blues, even the melodies of Brötzmann’s later albums shine through. Hiby is rather playful here, the band oscillates between spirituality and a certain cool nervousness. “The Worm“, the largest track, brings the two worlds together - the scintillating sounds, blurred themes and motives that rise from the low registers to jubilant screams. All this is accompanied and supported by Bardon and Hession, who protect the ballads from getting too dreamy by setting sharp counterpoints and support Hiby’s runs with feverish arcoing and rumbling rhythms during the wilder tracks. Great, it scored already among our favs for 2017!